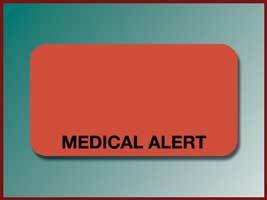 Alert staff to a patient's medical condition with this Fluorescent red label. 1 5/8" wide by 7/8" high. 420 per roll.